A mystery puzzling the publishing industry for several years, the true identity of renowned writer Elena Ferrante has never been revealed. This book will appeal to those who have read and loved L’amore molesto (Nasty Love, 1992) and I giorni dell’abbandono (Days of Abandonment, 2002). 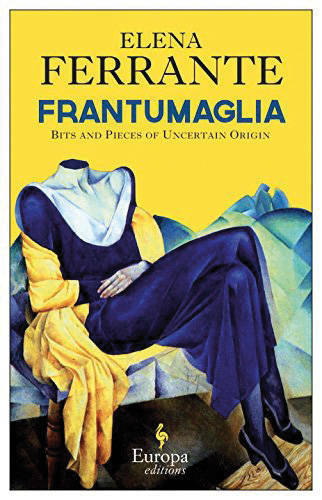 Playing on the charming mystery surrounding this incredible writer, Frantumaglia offers the reader a collection of as yet unpublished documents: letters, notes, remembrances of Naples—ostensibly the birthplace of the reclusive writer (for more on Elena Ferrante see the review by Judith Harris).